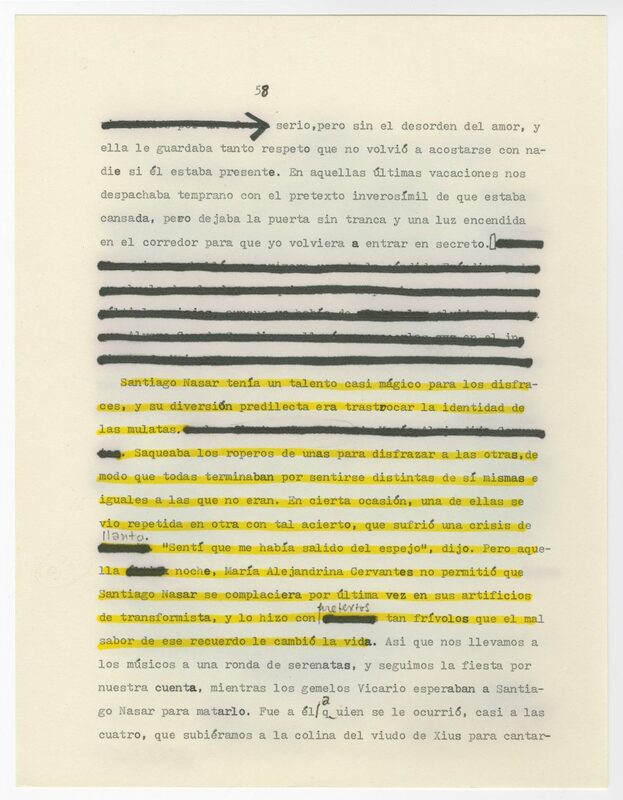 abriel García Márquez’s revised typescript of Chronicle of a Death Foretold, 1980. Courtesy Harry Ransom Center. Exquisite fossils show butterflies appeared before there were flowers to pollinateThe two paleontologists dissolving rock cores more than 200 million years old were looking for vestiges of freshwater algae. Instead, tiny fragments of insect scales caught their eye — remnants that a report published Wednesday identifies as the oldest evidence of butterflies and moths. Rare, Candid Photos Show Louise Bourgeois in Her Home and StudioWhen French photographer Jean-François Jaussaud asked an 84-year-old Louise Bourgeois for permission to photograph her at her New York home and studio, she gave him an intimidating stipulation: He would have to show her every single image he took, and if she didn’t like them, he would have to destroy them. The fierce French-American sculptor, painter, and printmaker wouldn’t have it any other way. Nintendo reveals Labo, a DIY ‘build-and-play experience’ for SwitchNintendo unveiled what it calls a “new interactive experience” for Nintendo Switch today that’s unlike anything else on the console. Called Nintendo Labo, it’s a “new line of interactive build-and-play experiences that combine DIY creations with the magic of Nintendo Switch,” according to Nintendo. Art observation skills can transfer to the medical labIf you’re unfamiliar or uncomfortable with how art and science can mingle to produce something clinically beneficial, it’s a study premise that might seem far-fetched — but it didn’t seem that way to Gurwin, an ophthalmology resident at Penn, in part because she’d already seen the benefits of art education on a medical career firsthand. “Having studied fine arts myself and having witnessed its impact on my medical training, I knew art observation training would be a beneficial practice in medical school,” she said. 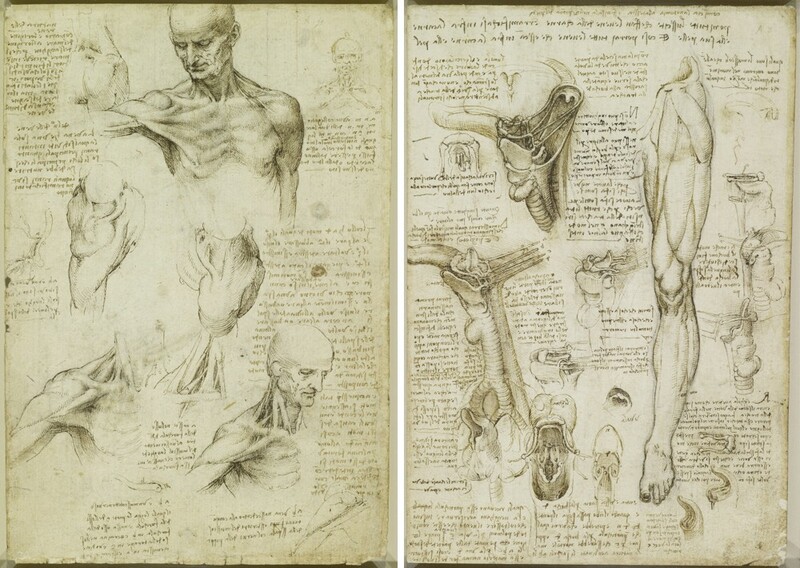 “Observing and describing are skills that are taught very well in fine arts training, and so it seemed promising to utilize their teachings and apply it to medicine.” Gurwin and Binenbaum’s findings, published in the journal Ophthalmology in September: The medical students who’ve dabbled in art just do better. It’s a glimpse at how non-clinical training can and does make for a better-prepared medical professional. Not only does art observation training improve med students’ abilities to recognize visual cues, it also improves their ability to describe those cues. Molten Salt Could Power the Next Clean Energy RevolutionClean energy companies like SolarReserve want to prove molten salt can aid solar power electricity any time of day. The potential is there, but the price of generating power and the importance of energy storage must be addressed. “Just Wait”: On the 35th Anniversary of John Carpenter’s The Thing (1982)Carpenter also deliberately avoids giving us a full and clear forensic timeline. Much like MacReady investigating the decimated Norwegian base, we’re often left to our best guesses about the Thing’s handiwork. We don’t always know if the characters have reasoned things out correctly, which makes The Thing both that much spookier and eminently rewatchable. Who sabotaged the blood bank? When did the Thing assimilate the character who is outed by MacReady’s blood test? Was one character’s apparent suicide really a suicide? And what about that ending? There’s a cottage industry of internet theorists dedicated to answering these questions, and even the likes of Russell and Cundey have not been able to resist participating in all the speculation. However, there’s something really quite rattling about The Thing’s intentionally inconclusive qualities. Omoshiro Block: A Paper Memo Pad That Excavates Objects as It Gets UsedProduced by Japanese company Triad, whose main line of business is producing architectural models, the Omoshiro Blocks feature various notable architectural sites in Japan like Kyoto’s Kiyomizudera Temple, Tokyo’s Asakusa Temple and Tokyo Tower. The blocks are composed of over 100 sheets of paper and each sheet is different from the next in the same way that individual moments stack up together to form a memory. The Congress of ViennaMelvyn Bragg and guests discuss the conference convened by the victorious powers of the Napoleonic Wars and the earlier French Revolutionary Wars, which had devastated so much of Europe over the last 25 years. The powers aimed to create a long lasting peace, partly by redrawing the map to restore old boundaries and partly by balancing the powers so that none would risk war again. It has since been seen as a very conservative outcome, reasserting the old monarchical and imperial orders over the growth of liberalism and national independence movements, and yet also largely successful in its goal of preventing war in Europe on such a scale for another 100 years. Delegates to Vienna were entertained at night with lavish balls, and the image above is from a French cartoon showing Russia, Prussia, and Austria dancing to the bidding of Castlereagh, the British delegate.